Send secure payouts form LinkTrust using PayPal. 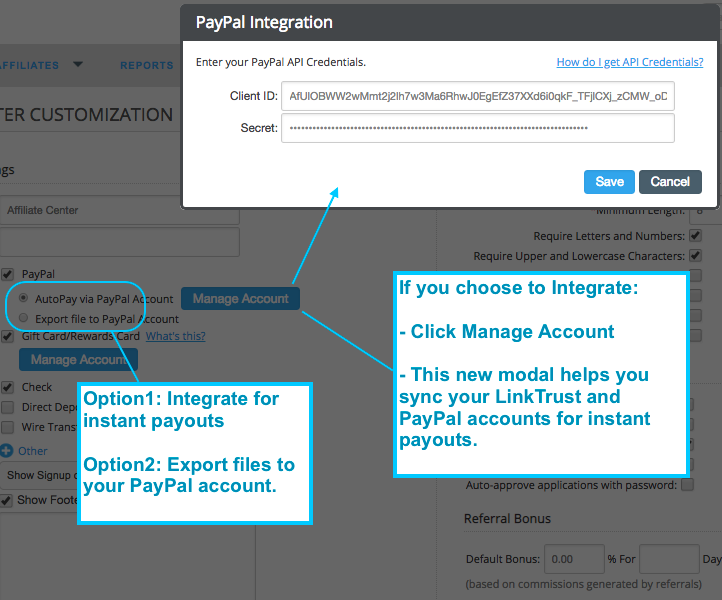 Sync your accounts by saving your PayPal clientID and secret in LinkTrust. Then send single payouts or use the Affiliate Commissions report to send mass payouts. Instantly pay your affiliate via reward links. Choose this new option and LinkTrust will walk you through an easy setup process. 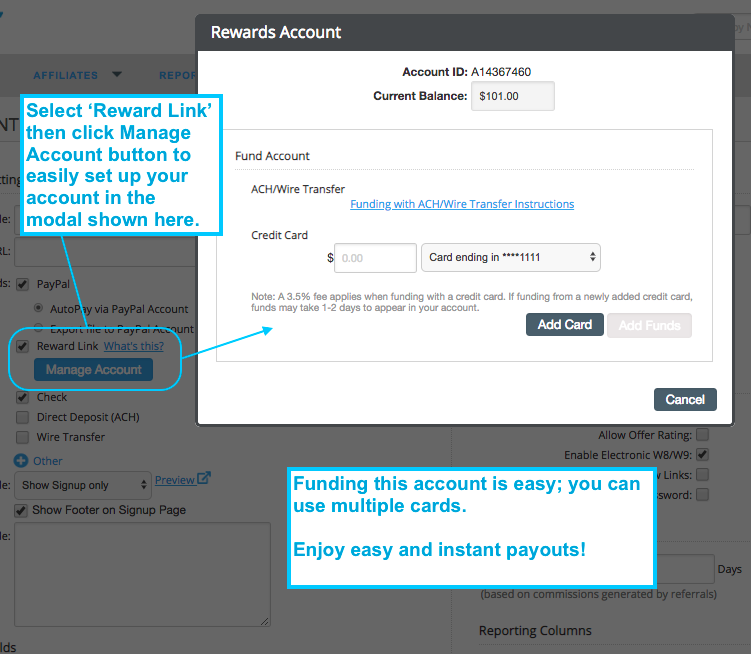 You'll be able to send single or mass payouts, and your affiliate will receive their digital rewards in an email. Choose a simpler affiliate signup form that requires only first and last names plus email. You can also select from a list of optional fields and decide whether each should be required. Much easier to customize your signups! Now you can fully customize your campaign categories. Create your owen set and/or combine with standardized categories. 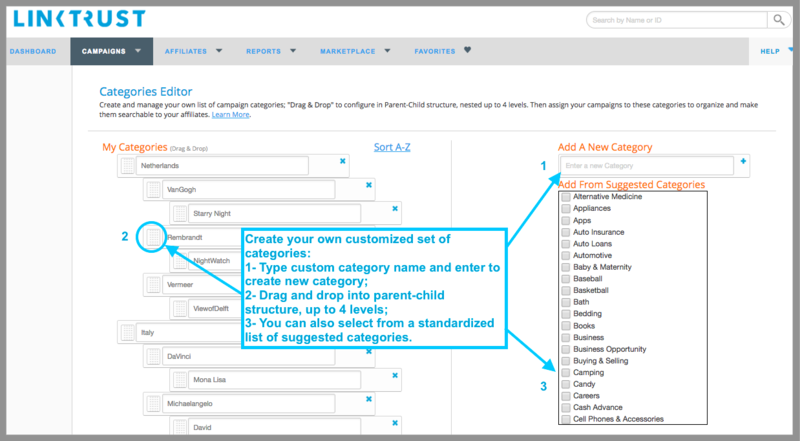 Parent/Child categories can be used to streamline your organization. Nest your Child categories up to 4 layers.